The Australian Rugby League Commission has today selected their squad of players to compete in the Four Nations tournament. The 24-man squad to play against England, New Zealand and Scotland contains even potential Kangaroos debutants – Shannon Boyd, Jake Friend, Tyson Frizell, Valentine Holmes, James Maloney, Matt Moylan and Justin O’Neill. “This is a new era for the Kangaroos and the squad which has been selected for the Four Nations tournament reflects that,” said coach and former Saints' legend Mal Meninga. 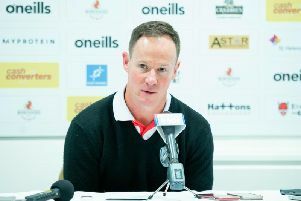 Meninga added: “This squad has been selected for the present, but with an eye to the future. NRL chief executive Todd Greenberg said the selectors had been informed that both Semi Radradra and Andrew Fifita were not eligible for selection for the tournament. Squad: Cameron Smith (captain), Darius Boyd, Shannon Boyd, Boyd Cordner, Cooper Cronk, Josh Dugan, Blake Ferguson, Jake Friend, Tyson Frizell, Matt Gillett, Valentine Holmes, Greg Inglis, David Klemmer, James Maloney, Josh Mansour, Trent Merrin, Michael Morgan, Matt Moylan, Justin O'Neill, Josh Papalii, Matt Scott, Sam Thaiday, Jonathan Thurston, Aaron Woods.